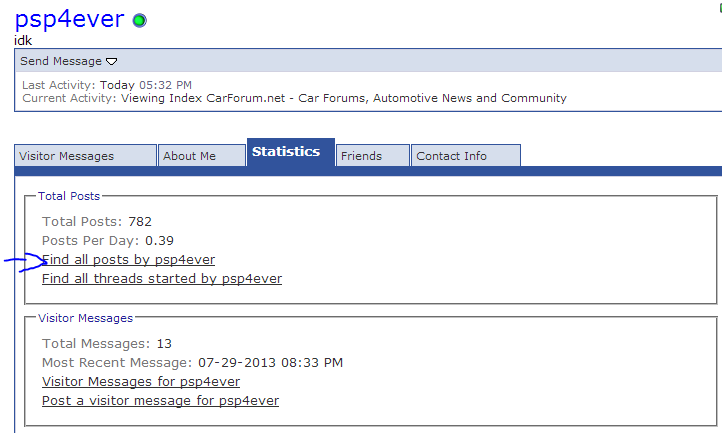 I was on another Forum a second ago, I'm part of a few, and they have a button that says all the posts you have made. Now, maybe I'm just not seeing it anywhere. But that would be very useful and make responding to people easy. The difference between stick and automatic... ones for car lovers, ones for a person with a license. There is that? If thats what im understanding? I've been lookin and just couldn't find that dang thing.